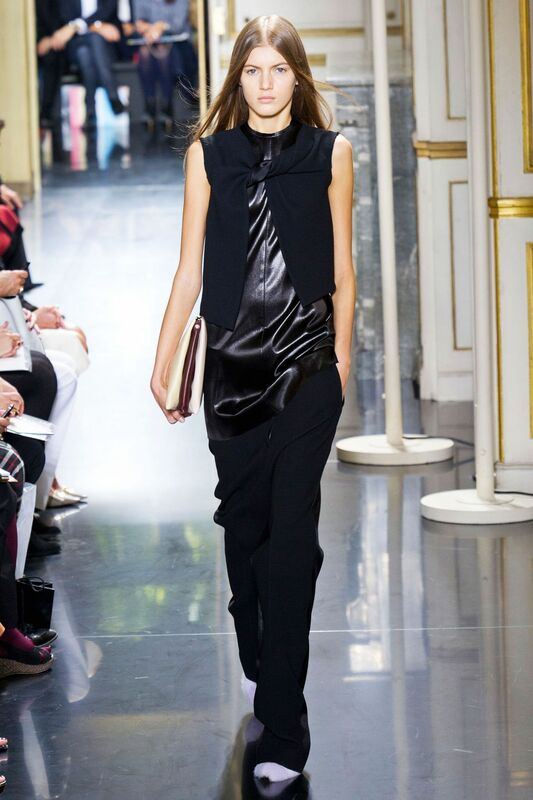 Céline is one of the most important and influential fashion labels of our time. 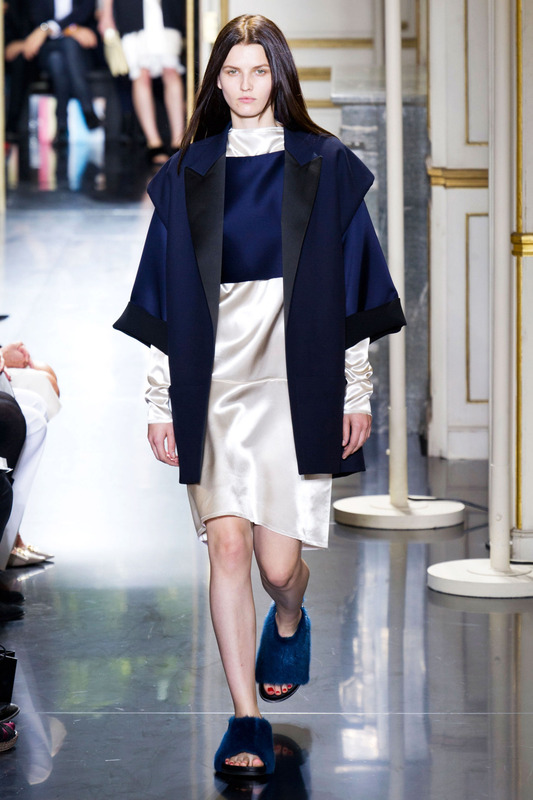 Its latest collection to walk the runway in Paris included a shocking addition: dyed-fur pumps. Paired with dresses, they looked like franken-slippers from the front. They also came in solid lilac. I do not even want to BEGIN to think about foot odor in these things. And they're for SPRING/SUMMER! The flats might be more "practical" for the faint of foot. What's the marketing on this? "Balance out a cankle with a really fluffy shoe!"? And for the woman who just wants a hint of fur in her pumps, there were floor-skimming pants that mostly covered them up. Look like you forgot to change out of your slippers before you left the house! It's that "I don't care — but I do!" look the hipsters have been capitalizing on for ages.